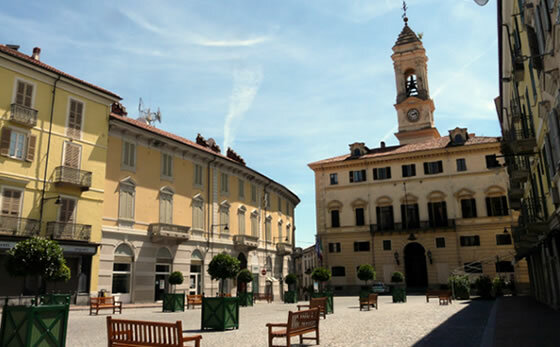 Ivrea is in the heart of the Canavese, an area of Piedmont with a wide selection of cultural trails and food and wine routes. A holiday in Ivrea, if for only a few days, provides an excellent opportunity to take a trip into the Gran Paradiso National Park, to enjoy the natural surroundings, silence and enchanting landscapes. 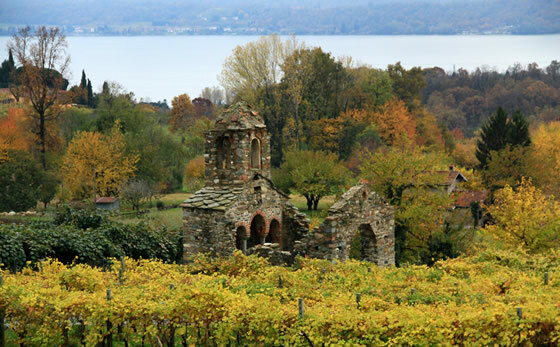 Alternatively, you can do a tour of the 5 lakes in the territory, or visit the ancient castles, fortresses and churches. If you decide to go on a pleasant walk around the historic centre, dating back to Roman times, we can recommend some of the most interesting and attractive sights. The Via Francigena From mediaeval times, the Via Francigena was used by pilgrims travelling from central northern Europe to Rome, the heart of Christianity. The 1600 kilometres of the Via Francigena were covered by Archbishop Sigeric in a total of 79 days, dividing the journey into 90 stages, with Ivrea as the 45th halt. However, the name “Francigena” is not only indicative of a pigrims’ way, for the road was also used by merchants, armies, and men of politics and culture. In recognition of its importance as a means of communication and trade, from 2004 the Via Francigena has been known as a “Great European Cultural Itinerary”. 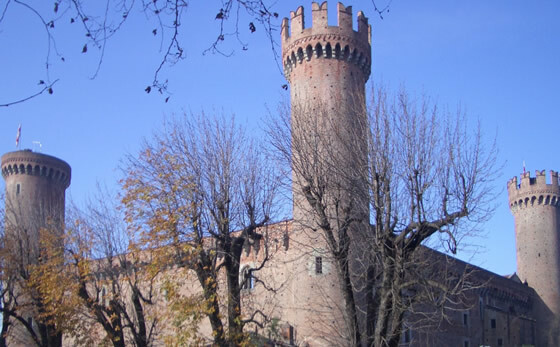 The Castle of Ivrea was built in 1358 by Count Amedeus VI of Savoy, the “Green Count”. It became a stylish residence for the Savoy family, embellished with tapestries, carpets, silver and precious silks. During the 16th century, the castle was gradually transformed from a splendid residence to a military stronghold, and finally to a prison, in the 18th century.Nowadays, certain sections of the castle are open to visitors: the ground floor, the courtyard and some rooms which were turned into prison cells. Advance booking is required to visit the castle. 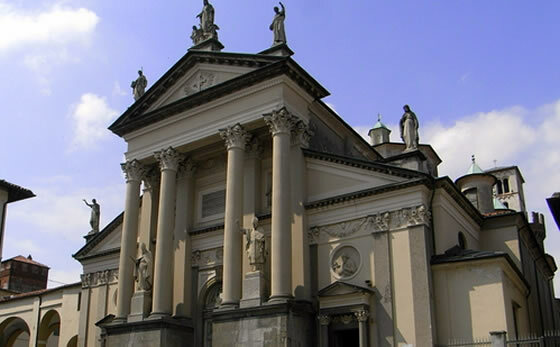 Ivrea Cathedral is situated in the upper part of the town, near the castle and the bishop’s palace. The edifice we see today is the result of various interventions to rebuild and enlarge the original Romanesque church. Indeed, the old Romanesque building was largely demolished from 1785 onwards, to make room for a new Baroque cathedral. The last major transformation occurred in 1854, when the Baroque facade was substituted by the present one, in the neo-classical style. This church and convent in Ivrea were dedicated to St. Bernardino of Siena in recognition of the work of the saint during his stay in subduing the discord between various opposing factions in the town. The good fortunes of the convent lasted for about two centuries, after which it suffered various devastating blows as a result of historic and religious events. 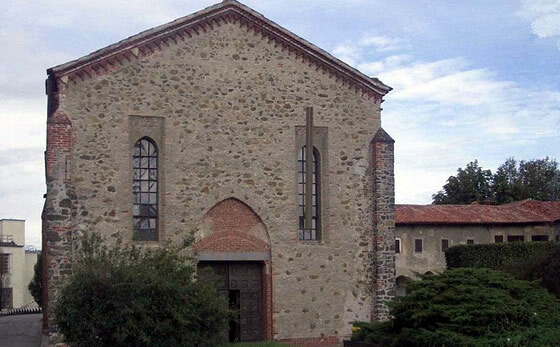 In 1907, the convent was restored by the engineer, Olivetti, who bought up the entire zone. Nowadays, the church can be visited on two Sundays a month (May to October), or else by appointement. The Maam Museo opened in 2001, involves a pedestrian trail of about two kilometres, including Via Jervis and neighbouring areas. 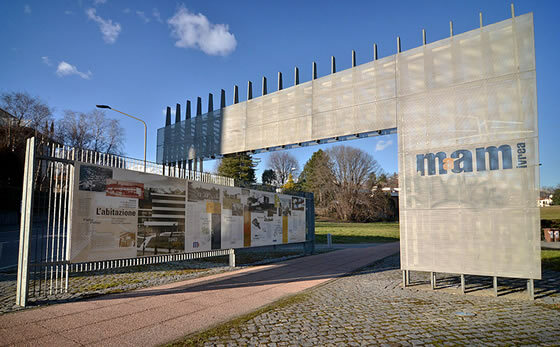 It is here that visitors can see the buildings which most closely represent the culture of the Olivetti company, together with seven information points which explain the various themes.They cover different aspects of the important role played by Olivetti in the fields of architecture, urban planning, industrial design and advertising graphics. In 1908, Camillo Olivetti built the engineering works of Ing. C. Olivetti & C. S.p.A. in Ivrea: the “first Italian typewriter company”. The first typewriter produced was the M1 model, presented at the Universal Exhibition in Turin in 1911. 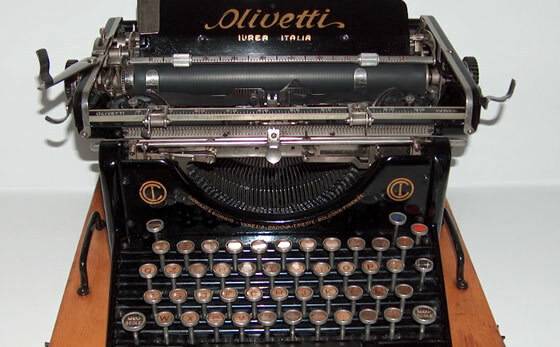 During the 1950s, Olivetti was a leader in developing mechanical devices for the office. At the end of the decade, it started investing in electronic technology and launched the Elea 9003, the first Italian-made electronic calculator. During the 1990s, faced with the crisis in Italian IT development, Olivetti entered the telecommunications field. So, in 1995, Omnitel came into operation and Infostrada was established. The Historic Carnival at Ivrea is the only one in the world to re-enact a story in which the players represent characters from actual historical events. Year after year, the cast reassembles to portray the charming Mugnaia (miller’s daughter), the bold General, the serene Assistant Grand Chancellor, the prestigious Podestà (chief magistrate), the smiling Abbà, and the joyful disorder of the aranceri (orange throwers). The event tells us of a popular revolt in mediaeval times, against a tyrannical Baron who kept the town in a state of servitude. 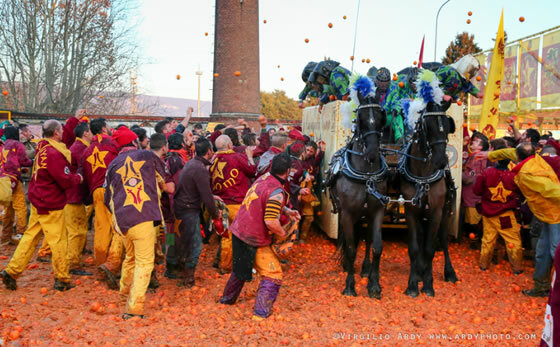 Today, this rebellion is represented by the Battle of the Oranges: a huge game involving the aranceri (symbolising the townspeople), and the archers on horse-drawn carts, (symbolising the tyrant’s troops). 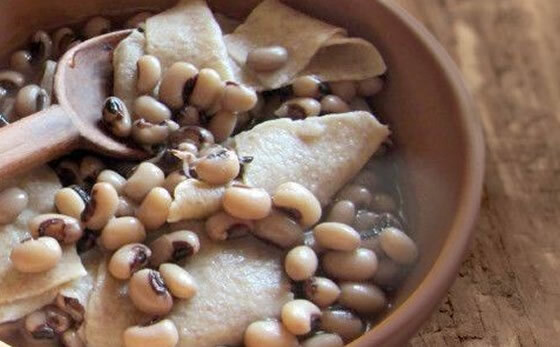 The recipe known as“Fagioli grassi” best represents the long gastronomic tradition associated with Carnival. This simple dish is clearly of peasant origin and uses tasty, wholesome, ingredients. It is accompanied by salami and pork rind, cooked in large cauldrons, and served to the populace from early Sunday morning onwards.